It's been nearly five years since I packed up a mini-van and left New York City for Detroit for my first high school teaching assignment. Over the next few days, many of the seniors I taught that first year will graduate from college and embark upon new adventures. People will often ask what I find hardest about being a Jesuit. Generally, they expect me to say, "Going to bed alone at night" or "Not having a massive bank account." While these are realities, they are not what I find most difficult. The hardest part of being a Jesuit is, to my mind, is living always at the threshold of having to say goodbye to those we have come to know and love. For instance, I very much miss the friends I made in Detroit. Teaching high school is often a daunting and difficult endeavor, but the support of fellow Jesuits and friends made it a joyful task. I count it as a singular grace that I went to bed tired every night for three years...and woke up, each morning, excited for what was to come that day. Consequently, it was hard to leave when my three-year assignment concluded. I had made friends and established relationships and, I thought, sown some good seeds. I wanted to stay awhile to see what might grow, what might be harvested. This was not to be. Assigned to Boston College to study theology, I left Detroit in 2012 and moved East. Over the next few weeks, friends I have made here will graduate and move off to various parts of the country; again, I stand at a threshold of having to say goodbye but, this time, I'll be staying put as I begin doctoral studies. If we are to share our lives with others and generously give of ourselves, we also have to realize that every person is worthy of our giving. Not for their physical appearance, their abilities, their language, their way of thinking, or for any satisfaction that we might receive, but rather because they are God's handiwork, his creation. God created that person in his image, and he or she reflects something of God's glory. Every human being is the object of God's infinite tenderness, and he himself is present in their lives. Jesus offered his precious blood on the cross for that person. Appearances notwithstanding, every person is immensely holy and deserves our love. Consequently, if I can help at least one person to have a better life, that already justifies the offering of my life. It is a wonderful thing to be God's faithful people. We achieve fulfillment when we break down walls and our heart is filled with faces and names. A wise Jesuit once shared that the grace of teaching is that, "You learn to love when the other is most unlovable." It's one thing to love the kid who gets good grades, or is funny, or charming. It's another thing to learn to love the one with acne, the awkward one, the enormous pain in the neck who seems committed to undermining you at every turn! If you want an argument for the existence of God, you need look no further than a teacher who finds it within herself or himself to look upon the stinking swell of freshmen who come to class after gym class, sans deodorant, and manages all the same to teach them with joy. It was not my calling to remain in Detroit, to see how any seeds I might have planted over three years would grow into any sort of harvest. Of course, I hear from many former students and remain in contact with them. This fruitfulness, as Pope Francis writes, "is often invisible, elusive and unquantifiable" (§279). The Holy Spirit, the Pope observes, "works as he wills, when he wills and where he wills; we entrust ourselves without pretending to see striking results" (§279). 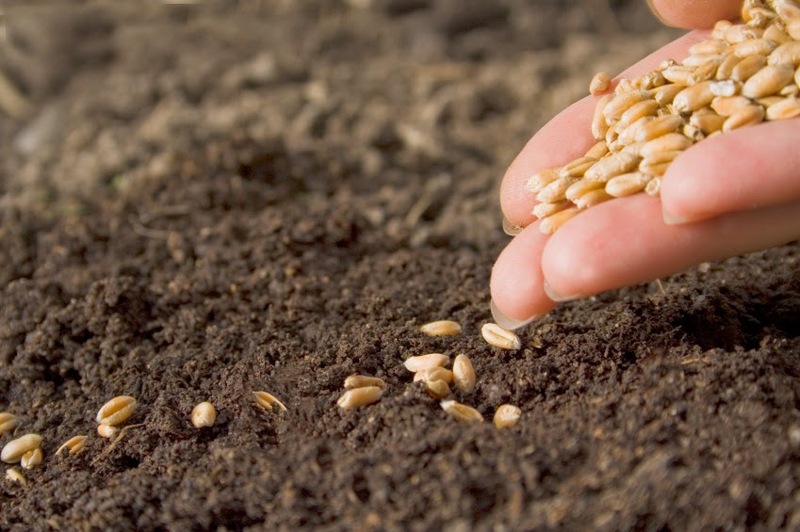 This is the grace and burden of Christian discipleship: we sow as we are called and yet are never assured that we will see even the earliest signs of life from what we've planted. "No single act of love for God will be lost, no generous effort is meaningless, no painful endurance is wasted." Our labors on behalf of God's Kingdom are measured, not by calendar dates or quantifiable measurements, but by the openness of our hearts and generosity of spirit with which we set about our task.